A Day with Jay is something you should read. 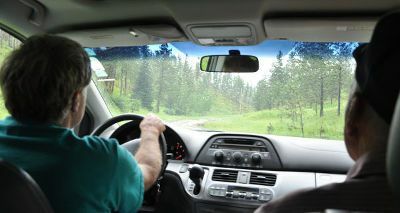 We took a drive on a beautiful Thursday in the Black Hills of South Dakota. It hasn't been this lush in recent memory. It was a cool day. Trees were green. Streams were running. 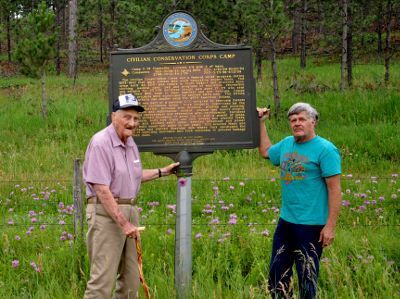 Civilian Conservation Corps (CCC) Museum of South Dakota board members Jay Hendrickson, Kerry Conner, and Otto Bochman stopped at five CCC Camp locations today. Those camps were Hill City, Tigerville, Rochford, Black Fox, and Mystic. Mr. Hendrickson was a member of Camp Mystic. Having grown up in the area Jay was very familiar with the local landscape. 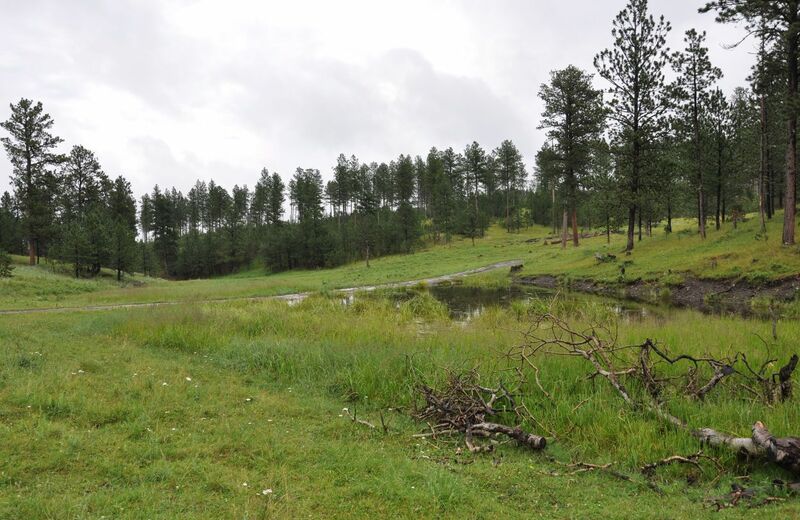 The Hill City camp was just a short drive out of town and located on Newton Lake. 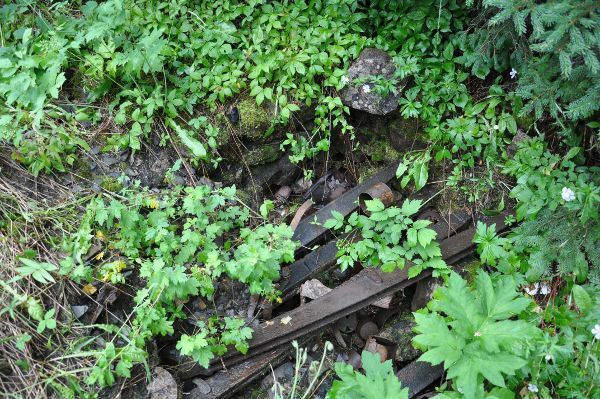 The once Burlington Northern rail line ran past the camp. Part of that rail line now forms the 109-mile Mickelson Trail. 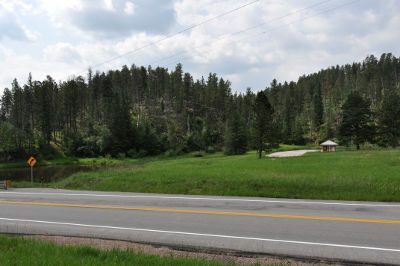 Two buildings from this camp were moved and are now located at the same address as the Hill City Visitor Information Center and the CCC Museum of South Dakota. 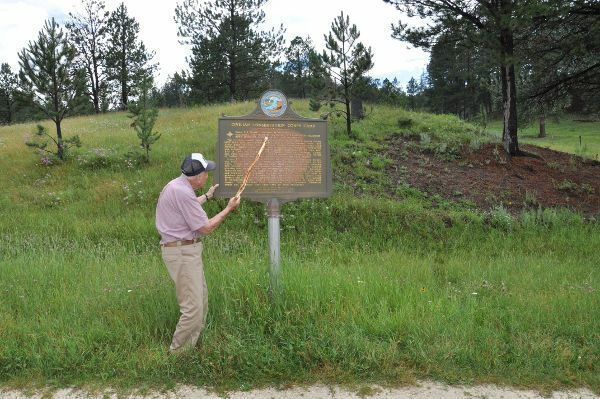 Camp Tigerville was located about 8 miles from Hill City, SD and the men did forest work and some road and dam work. No remnants remain but you can see why this would have been a good location for a campsite. We continued from Tigerville all the while enjoying the Black Hills scenery. Jay would point out various Forest Service roads and told of where they might lead. We even passed a one-time stage stop. The house and buildings still well maintained. Taking one of those Forest Service roads we come upon Camp Rochford. 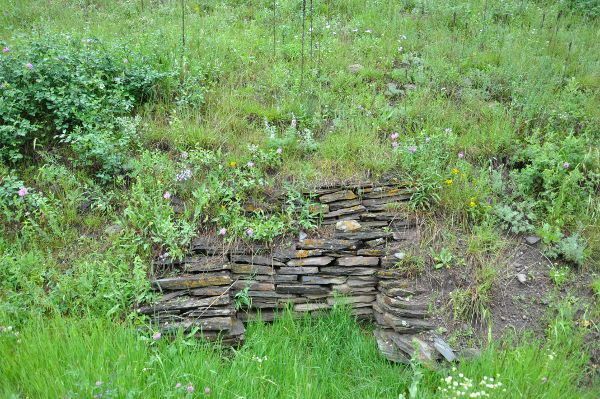 A spring marks the water supply for the camp. It rained off and on which provided a slick road-way, but we continued to Black Fox. Tires would spin but "we can make it" was the phrase of the day. Black Fox was a side camp supported by the larger CCC Camp Roubaix. 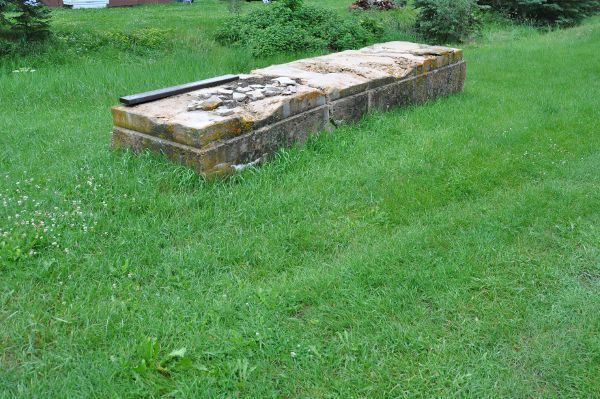 Foundations and cement slabs are still visible. In the 1950s private individuals built cabins at the location. 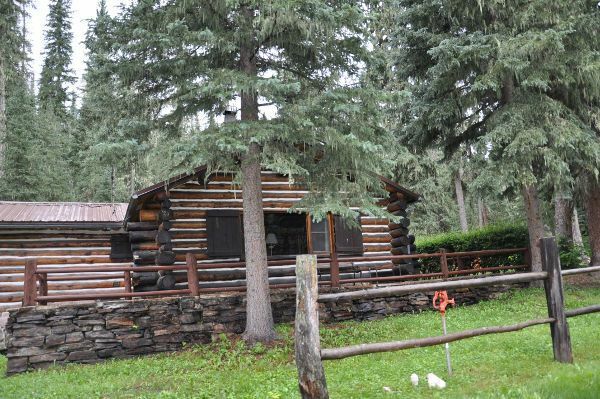 Even though the cabins are on Forest Service land the families have been able to pass the cabins down to younger generations through lease agreements. 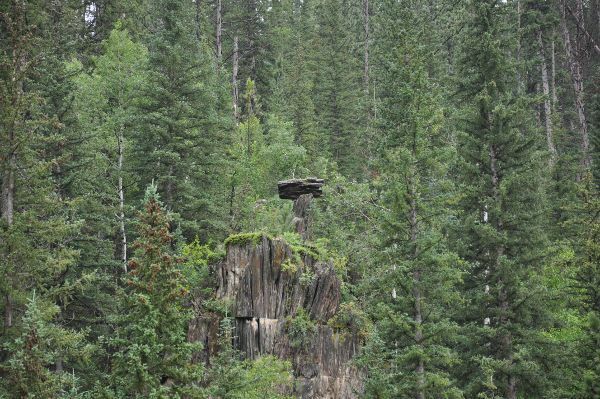 Jay Hendrickson pointed to a cabin as we drove in and stated that his father had built it. We drove by some incredible scenery and some interesting rock formations. 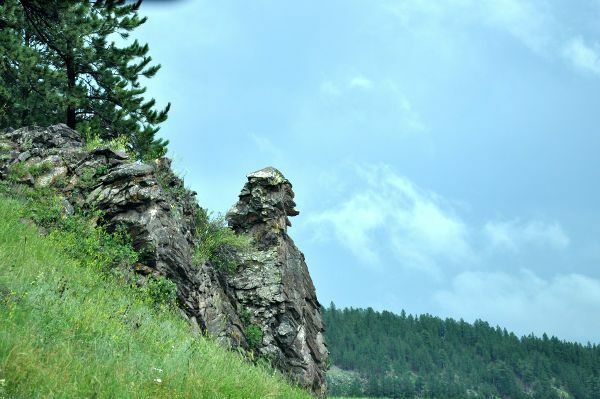 One looked very much like a man's profile while the other was a balancing rock. at Black Fox - not sure – burn pit?? From CCC Camp Black Fox we drove to the town of Rochford and stopped for a soda at a local watering hole dating back to 1910. The small community itself dates back to 1878. Camp Mystic was our last stop. 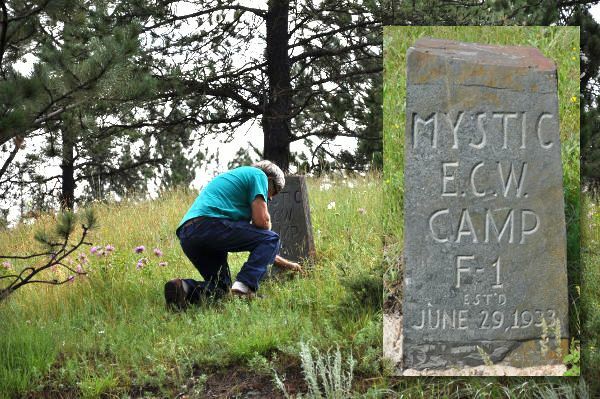 Jay Hendrickson was at Camp Mystic in 1937. A stone marker from that period remains at the site. The historical marker nearby describes the CCC program and work done by the men of this camp. Having a man that was in the Civilian Conservation Corps as your guide when looking for CCC camps is about as good as you can get. Thanks for the tour Jay! Having a man that was in the Civilian Conservation Corps as your guide when looking for CCC camps is about as good as you can get.